Indian War Period Rare Quarter Master's Saddle with special order Horn. Only Officers could place such a special order. Indian War Period Rare 1875 Quarter Master's Officers Saddle with a special order Horn. Only Officers could place such a special order. 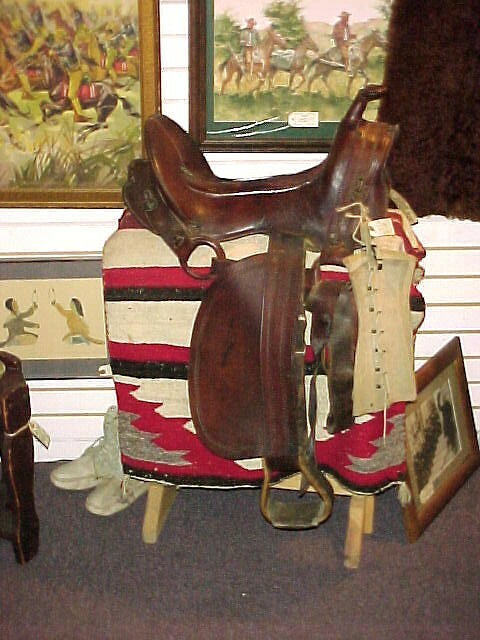 Rare Saddle Collectible. Please email cowboyron@cowboycabin.com with questions or call 406 270-2842.